Running for the fun of it! We visit Stormont, Glenmore, Roe Valley and the parks over the jump! From all of us at the Dub Runners to our Gavin (see header image) – happy birthday! Roundup Towers has heard what age he is, but we’re not allowed to say… all we will say is that it begins in 4 and ends in 0! 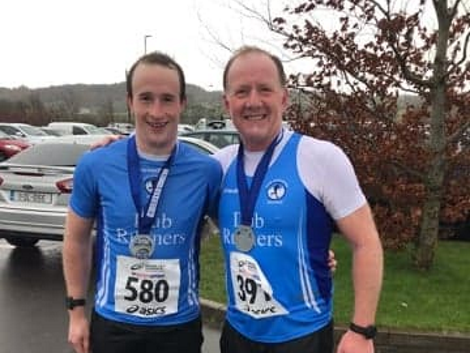 Outstanding running from our Dynamic Dub Duo who excelled in what proved to rather tricky conditions on Saturday afternoon. The nature of these courses means that once you complete a lap, you then have to keep your head in check for getting around it a few more times – and the course evolves and changes with each rotation. Never easy, but these two make it look so! No More! Alastair and Paul looking happy after ten short miles! 8 Bernadette O'Kane 00:35:36 2nd Place! Roe Roe Valley: Bernie, the pocket rocker powers her way to second place! Maire MCCAUGHEY 00:23:51 3rd Place! Niall MCCRORY 00:20:17 1st Place! Judith MC MANUS 00:22:26 2nd Place! New PB! Roisin BYRNE 00:23:55 3rd Place! 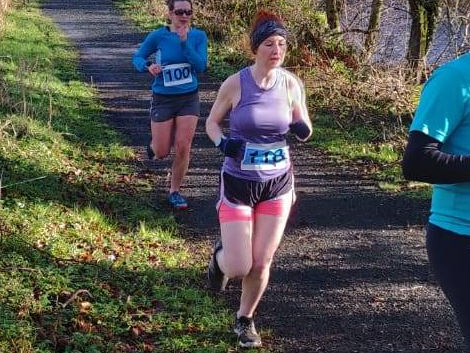 Nessa AGNEW 00:24:20 Newbie PB! Paul MCCREA 00:27:57 Newbie PB! 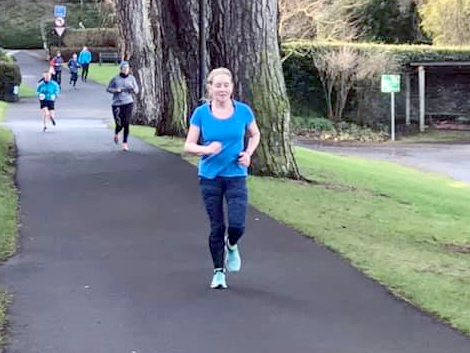 Jane PATTERSON 00:30:55 Newbie PB! 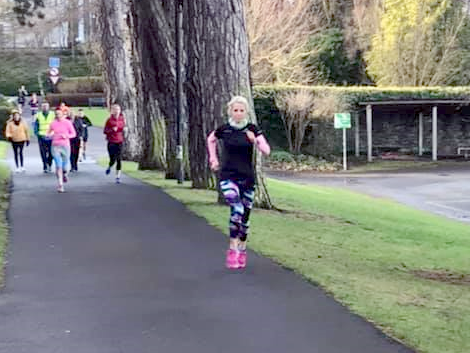 parklife: Roisin at Stranmillis College on her way to third place! 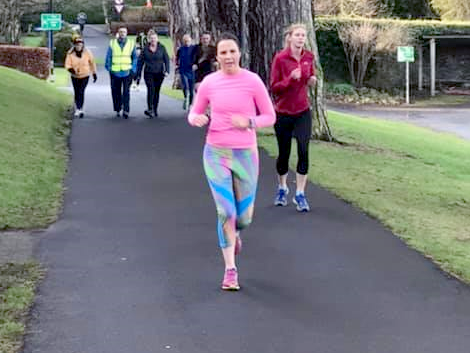 parklife: Nessa takes on the Stranmillis College route for the first time! parklife: Anne Marie goes back for seconds at the Stranmillis College event!